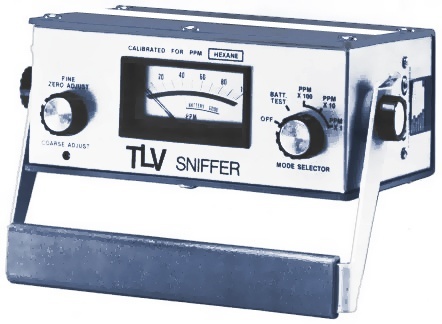 The portable TLV Sniffer is an extremely sensitive combustible gas and vapor sensing instrument with an overall detecting sensitivity range of 1 to 10,000 parts of gas or volatile flammable vapor per million parts of air (by volume). Measurement levels of up to 100,000 ppm are achievable with the optional dilution probe accessory. The TLV Sniffer catalytically oxidizes gas in a pumped-in sample of air by means of a catalyst-coated resistance element. The reading is obtained by measuring the electrical balance of the catalytic element as compared to the resistance of a reference element. The TLV sniffer readings are resistant to humidity and temperature since both the active and reference elements are affected equally by these conditions. The rental monitor comes pre-calibrated to 500 ppm hexane by our environmental specialists, including a calibration record. TLV Sniffer catalytically oxidizes gas in a pumped-in sample of air by means of a catalyst-coated resistance element. The TLV sniffer readings are resistant to humidity and temperature since both the active and reference elements are affected equally by these conditions. 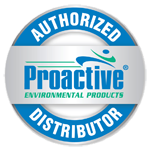 The rental monitor comes pre-calibrated to 500 ppm hexane by our environmental specialists, including a calibration record.